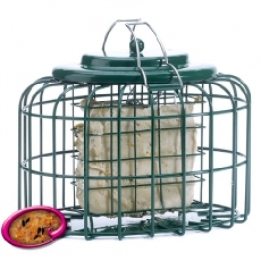 Squirrel Proof Suet Feeder - Simply Bird Garden Birds Supplies. This innovative design prevents the average adult grey squirrel from passing through the bars and stealing the food. It takes a standard suet block.